Made by Adidas, the UEFA Cup Final kit remains the only European cup final kit to be worn by United. The shirt and the rest of the kit was essentially the same as that worn during the 1986/87 season, but came emblazoned with the text U.E.F.A Cup Final 1987 underneath the club badge on the left lapel. 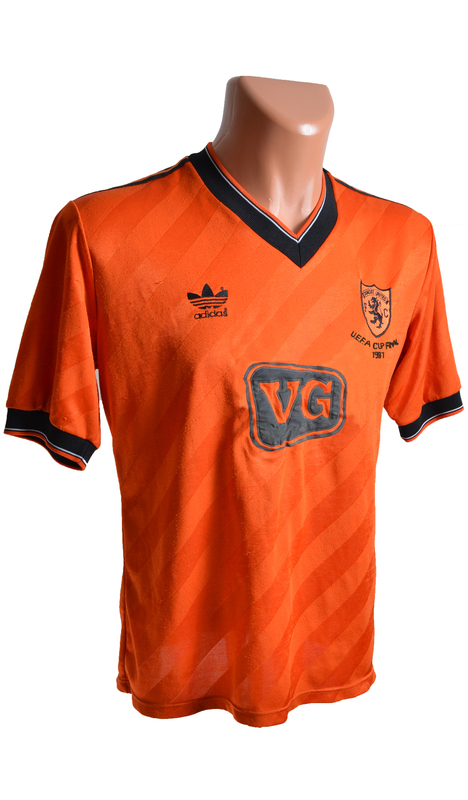 A mixture of short and long sleeved shirts were worn by the team who were named for both the first and second legs of the Final, the first leg marking a historic occasion as United for the first time played a Cup Final outside of Scotland. Owing to IFK's blue and white vertical stripes, United were able to wear their home colours of tangerine and black for both legs. Despite the outcome of the Final, the strip itself remained a favourite with United fans, its iconic appearance synonymous, not so much with the 1986/87 season per se, but more so the highs and lows of the Club's most memorable European campaign, making it a fitting addition to the Cup Final strips collection.